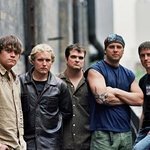 Fans of 3 Doors Down have the chance to bid on the ultimate band experience to benefit City of Hope. You and a guest will not only get to meet the band, but you’ll both attend the exclusive backstage VIP parties as well. What’s included: Soundcheck party, 2 premium tickets, entrance to private dressing room backstage, VIP Laminates, tour t-shirt, posters signed by all the members of 3 Doors Down, photos with the artists and more. City of Hope is transforming the future of health. Every day they turn science into practical benefit. They turn hope into reality. They accomplish this through exquisite care, innovative research and vital education focused on eliminating cancer and diabetes. For 100 years, City of Hope’s pioneering research has brought the world closer to cures for many life-threatening diseases. As one of only 41 National Cancer Institute-designated comprehensive cancer centers nationwide and a founding member of the National Comprehensive Cancer Network, City of Hope is an independent biomedical research, treatment and education institution and a leader in the fight to conquer cancer, diabetes, HIV/AIDS and other life-threatening diseases. The auction ends on January 23 – to access the auction, click here.